Resthaven collaborates with a range of partners, including consumers, on research initiatives to inform and promote good aged care practice. Research outcomes are published to benefit the community. On 4 November 2016, a $400,000 building extension and mural project was launched at Resthaven Northern Community Services at 16 Gillingham Road, Elizabeth. Developing a Customer Experience Blueprint. 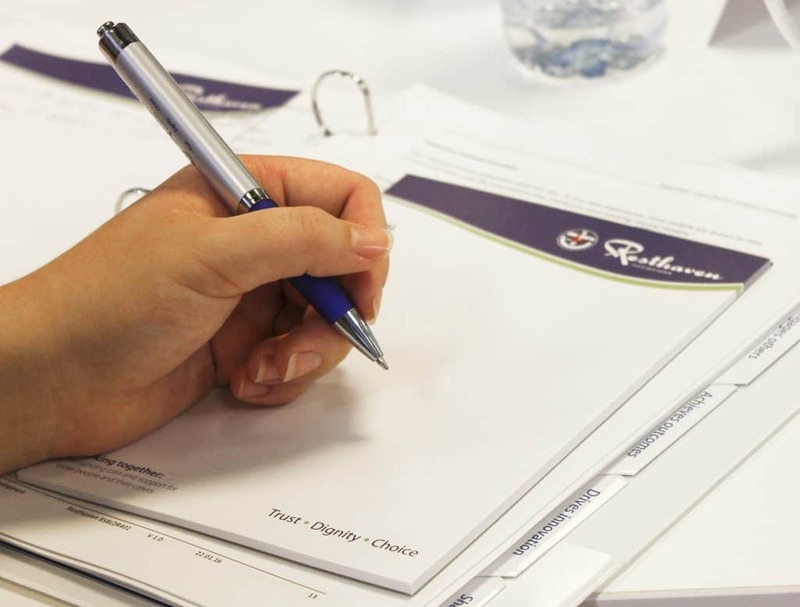 Customer Engagement: What do people want to know about Resthaven? Doctoral research scholarship in emergency management and older people at Flinders University. Working under the supervision of Professor Paul Arbon, the recipient of the scholarship was Victoria Cornell. Xiao LD, Willis E, Harrington A, et al. The Aged Care Clinical Mentor Model of Change (ACCMMoC) was developed as an ‘Encouraging Better Practice in Aged Care (EBPAC) project. It aimed to implement best clinical practice related to an identified clinical priority area via a workforce mentoring model, which includes the role of an Aged Care Clinical mentor (ACCM). In 2018, Resthaven implemented a second trial of the Aged Care Clinical Mentor Model of Change to improve Wound Management. Creating a visually aesthetic map as a helpful tool for people to get to know a new residential services environment at Resthaven. A coalition of aged care service providers who are finding ways to improve governance, leadership, consumer engagement and quality of service. Here are the latest research and innovation stories from Resthaven.